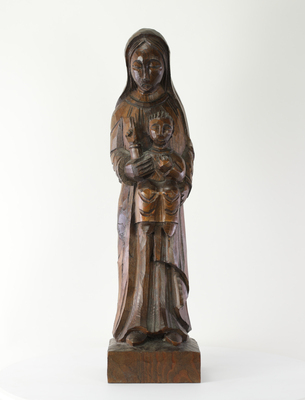 Carved wooden statue of Madonna and Child. Mary holds the Christ child. This statue is part of the Cecil and Desha Coil Statue Collection donated by Helen Zechar.